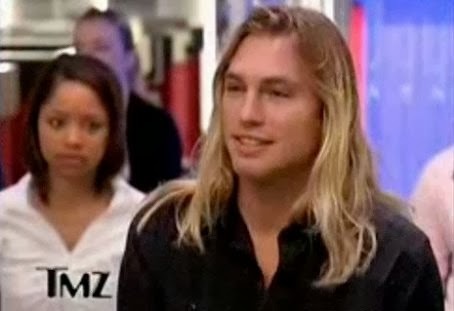 We've been wondering what happened to the surfer dude on TMZ for over a month, but weren't curious enough to actually research what had happened to him. Had he rejected gay advances by Harvey? Had he accepted gay advances and not satisfied Harvey? Did Sean Penn call in and tell him he wanted his 'Jeff Spicoli' character back? He (Max Hodges) was always the most informed on venereal diseases, so it would be a shame to lose that expertise from the daily show. Some blogger was all over this story a month ago and had the answers.